Spotted my top Xmas picks yet? If not - why not have a look... here! I LOVE buying stocking fillers and little secret santa type gifts - the more things to wrap up for people the better (although I do hate wrapping. I'm bloomin' awful at it!). Is it time to start panic buying? Yup... it probably is! So if you're in need of some ideas for small additional presents or a cheeky little stocking fillers check out the below for some fabulous bits and bobs all priced £10 or under!!! Burt's Bees are always on top when it comes to cute Christmas gifting! The 'A Bit Of Burt's Bees'* gift sets are priced at just £5.99 and include a natural lipbalm alongside a hand treat such as cuticle cream or hand salve! These are perfect at-desk beauty bits for any hand working lady (or man!) in your life! For something a little more luxury why not try Burt's Bees Naturally Nourishing Vanilla Bean Gift Set* (£9.99). A moisturising dynamic duo gift set - featuring Burt's Bees Ultimate Care Hand Cream and 100% natural Vanilla Bean Lip Balm these are the perfect naturally nourishing festive season duo - who's doesn't need hand cream at this time of year! This brand is perfect for all ages - and they smell amazing! So if you're struggling to find something for that choosy aunt or has-everything Granny Burt's Bees have the perfect pick me ups for bargain prices! Leighton Denny are nail experts and for only £10 you can grab 2 of their best selling shades! A Little Piece Of Me* duos come in a gorgeous little hanging box filled with 2 x 5ml polishes - Kiss Me Quick & I Love Juicy, Twinkle Twinkle & Easy Peel Base Coat or Best Seller & Double Up Base and Top Coat! What a perfect little stocking filler these are! When it comes to higher end beauty sometimes there isn't a lot you can get for under £10 but I managed to find a few little gems! First up - Percy & Reed's Little Luxury Big, Bold & Beautiful Dry Instant Volumising Spray* - now this is the PERFECT time of year to be trying this out! With all those Christmas and New Year's celebrations our hair needs a bit of wow and this amazing, non-sticky, dry instant volumising spray plumps up your hair in a flash! For only £6 this is the perfect little handbag hair saviour - and a great way to try out a new product without buying the full size! Next up... just the GREATEST primer in the world! I bloody love that Benefit do these smaller sizes of their products - it means that even when I'm on a budget I can snap my favourites up .... and just use them when vitally needed! The POREfessional is just fantastic, the best primer I have ever used and this 8ml tube is an amazing way to introduce a friend of family member to a product I am obsessed with without breaking the bank. Heads up ...you can buy this from Boots online and get it delivered to your nearest store for FREE for the next day, so if you're running out of time - all is not lost! Another product you can order on the awesome Boots service (#notanad) is Soap & Glory's Khol-Eyed gift set*! Another gift knocked out of the park by our favourite pink brand - this amazing kalidoscope packaging is actually filled with three gorgeous khol eyeliners -Smoulder, Foil In Love and What A Night! Seeing as these liners usually retail at £5 each - for £10 you're getting a bargain! It wouldn't be Christmas without FOOD! December is the time of year where anything goes and calories don't count.... right? I mean - when else would you have chocolate for breakfast every single day? 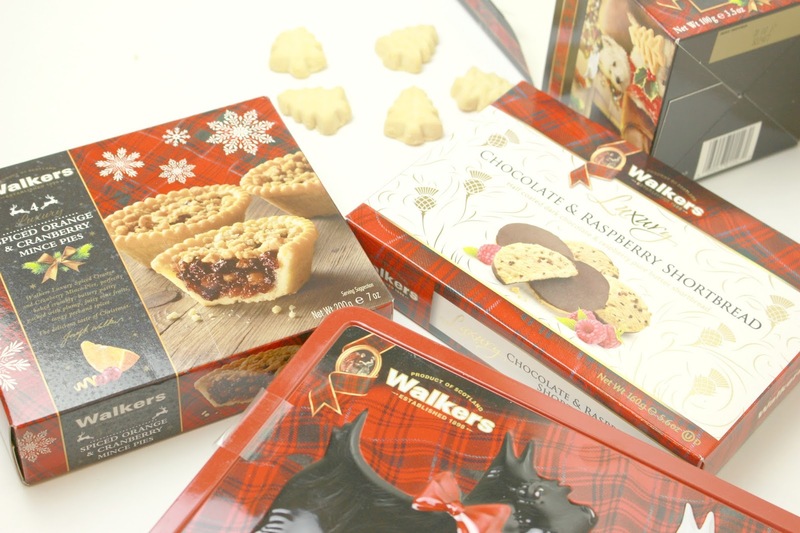 Walkers, yet again, have released a gorgeously festive with prices ranging from £1.25 to £28! 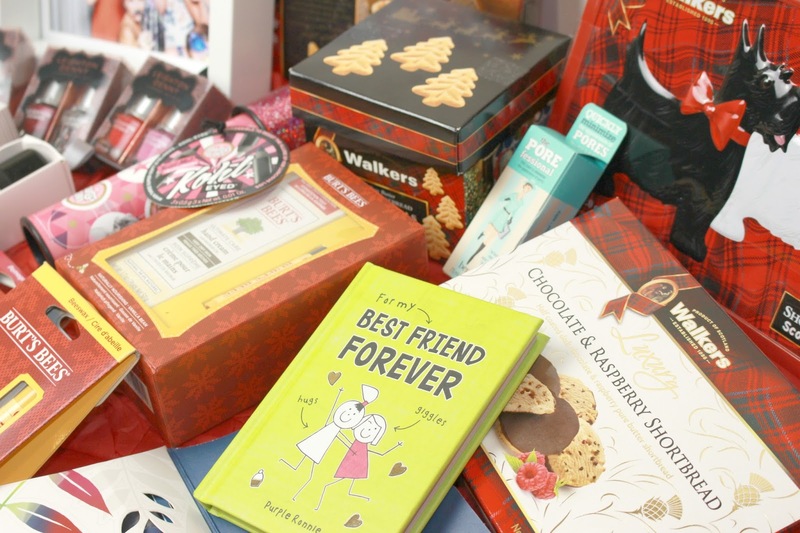 The team were kind enough to send me a range of Christmas gifts all under £10 for me to test out and put my seal of approval on and I have to say, they did not disappoint! These gorgeous tins, exciting flavours and fun shaped treats make lovely presents for families, aunties/uncles, grandparents without breaking the bank! Treat someone to something they may treat themselves too! You can buy them from Walkers and Boots! A few bedside table essentials now! I am obsessed with coconut and I know a lot of you must be too so this next beauty buy will come at no surprise to you all! Lucky Cloud's Coconut Lip Butter* has been my go-to balm throughout these past fewc colder weeks - I HAVE to pop some on before bed so it basically lives on my bedside table with my other beauty essentials! At £4 this is slightly more expensive than your usual vaseline but I can hand on heart say it is SO much better and worth those couple of extra £s! Enriched with coconut butter, sweet almond oil, thistle oil, vitamin e oil, cocoa butter and soya wax these lip balms are vegan friendly and smell divine! Plus you don't need alot so the cute little tin they come in will last weeks and weeks! I love being able to introduce friends and family to new brands I've fallen in love with especially as a gift, and this is definitely one I will be shouting about. 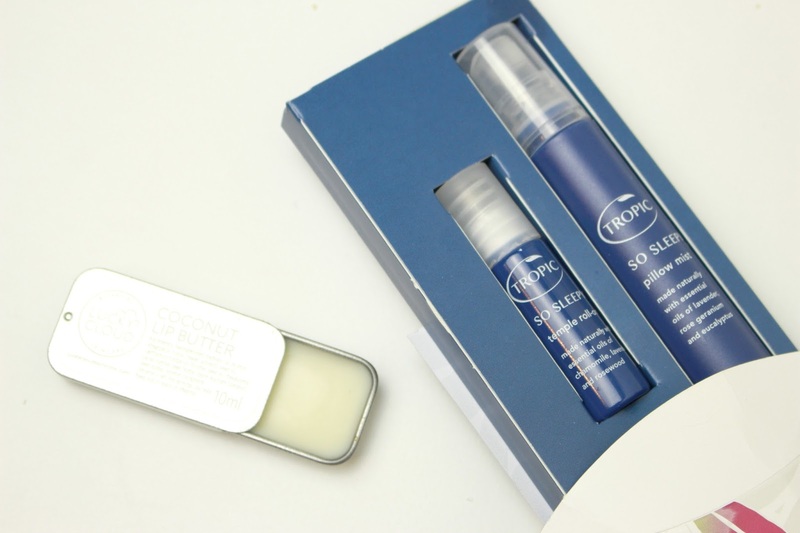 Next a fabulous set from Tropic Skincare! As you may have seen in previous posts on here and Instagram I am currently trying out a variety of products from Tropic - including THIS ... Limited Edition So Sleepy Collection*. Purple Ronnie is SUCH a classic (if you are around my age you would have grown up with it) - this Best Friend Forever book is full of fun quotes and pictures at only £5.99 is a cute thoughtful addition to any stocking! Well there you have it .... stop reading my blog and get shopping you don't have long! So many great ideas! 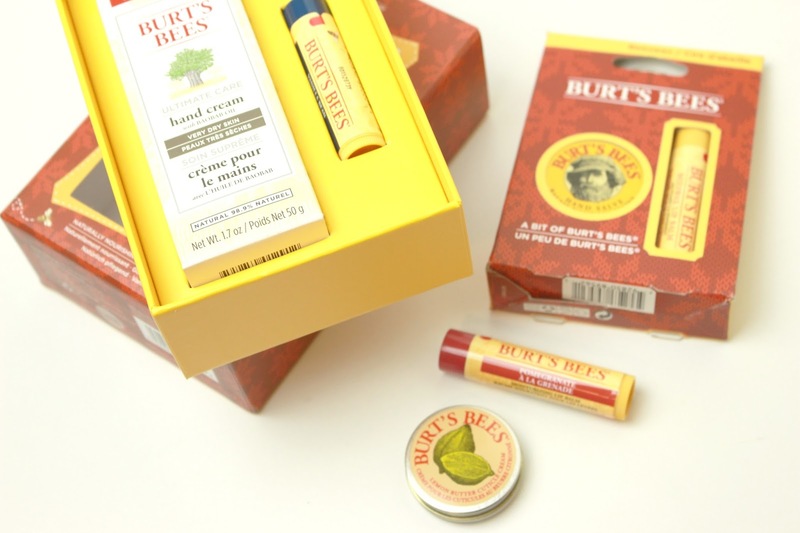 I've always wanted to try the Burt's Bees products but never have!